Barcelona airport is 90 km away from Tarragona. Probably, the most convenient way from the airport to Tarragona is a shuttle-bus service run by the company Bus Plana. The trip takes 1h and 10minutes (from airport Terminal 1 to Tarragona), depending on traffic conditions. You can either buy your ticket online or directly on the bus (around 13 euros per journey). Taking a train from the airport to Barcelona Sants railway station and from there to Tarragona railway station. Other options would be taking a taxi (Barcelona taxis are black&yellow), but this may cost you easily over 120 euros per journey. If taxis are taken before 7 am to facilitate an early departure and / or if a taxi is taken after 10 pm due to a late arrival. Taxi expenses up to a maximum of EUR 80 for the entire journey can be claimed by eligible participants if either of the above criteria have been respected. A justification must be encoded in the dedicated space on the OTRR. Taxi expenses can only be paid against the amounts detailed on taxi receipts. Taxi receipts must clearly detail the name of the service provider, the full price of the journey and the date of travel. Tips are not eligible for reimbursement. 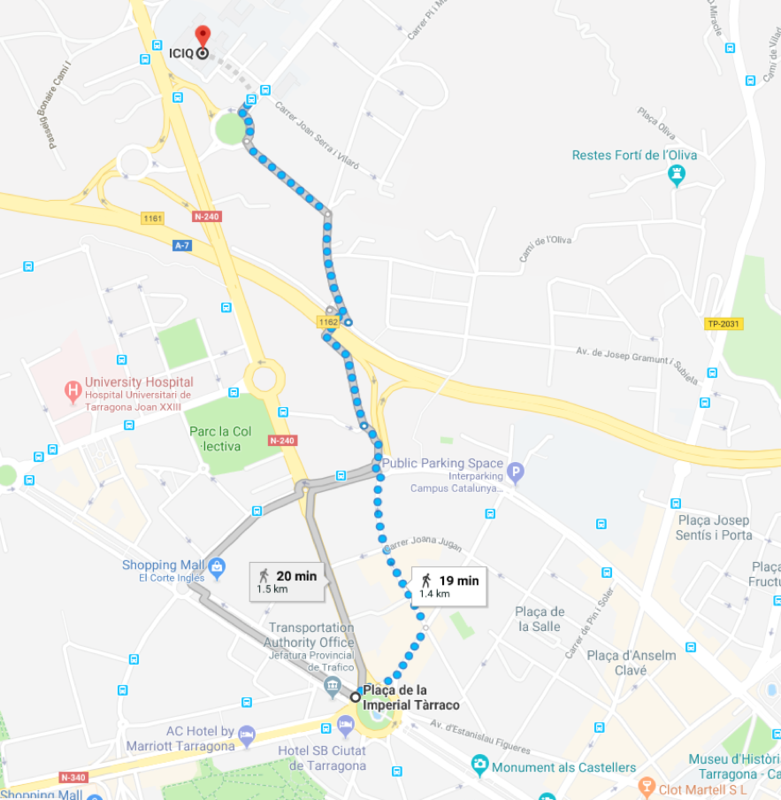 Reus Airport is 10km away from Tarragona city centre. It is busy mostly in summer (May – October) but there are a few flight connections with the Netherlands, the UK, Ireland, Belgium, Germany, Poland and Russia. It is worth checking whether there is a connection from/to an airport nearby your city. There is a taxi stop right outside the terminal and the Hispano-Igualadina bus service has coaches coming from / going to Tarragona. 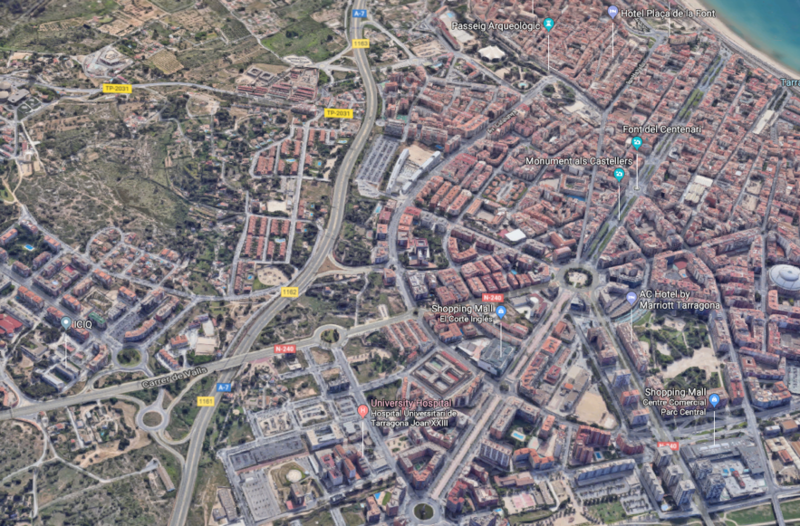 From the AP-7 motorway: Take Exit 33 and get on the N-240 road towards Tarragona. 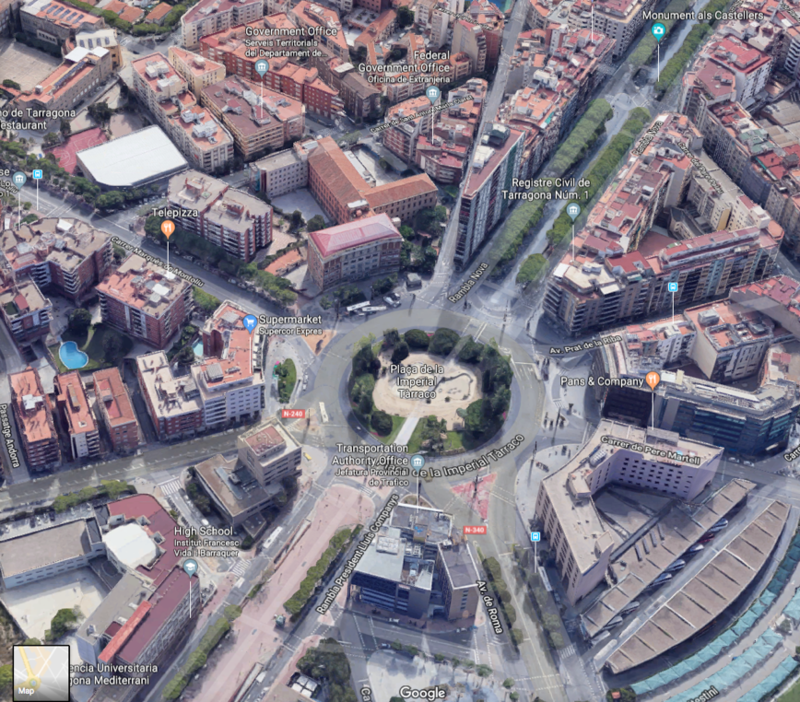 Take the signalled exit at your right towards Sant Pere i Sant Pau, then follow the Universitat Rovira i Virgili purple sign before entering the roundabout, which will lead you to the Països Catalans avenue, where the ICIQ is located. ICIQ has got a very small parking, we recommend you to park on a free parking lot right opposite the ICIQ. It is also quite easy to find parking spaces in around the same avenue and adjacent streets. 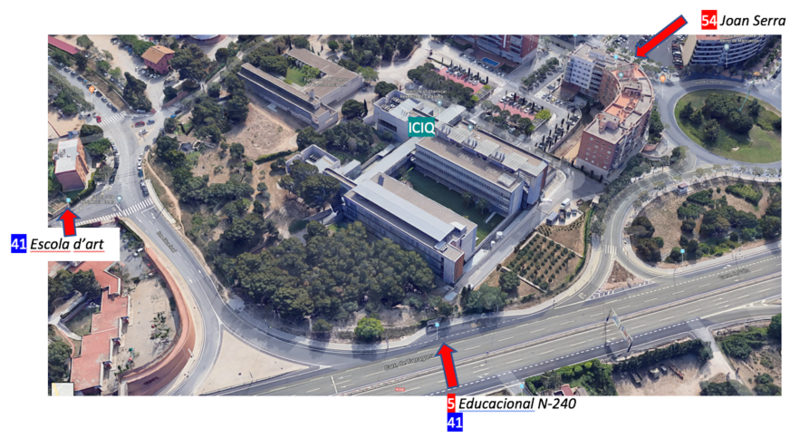 to come to the ICIQ either by bus or walking if you are not familiar with the city (see map in the next page). * Taxis in Tarragona are pretty expensive. We encourage you to take the way shown on the map and avoid N-240 (a suburban motorway) as there are not zebra crossings and it may be dangerous when crossing the road.